Founded in 1998, the White Plains Business Improvement District (BID) is a non-profit, 501©3 corporation that offers supplemental services to the White Plains Central Business District to enhance its economic, social, and cultural landscape. 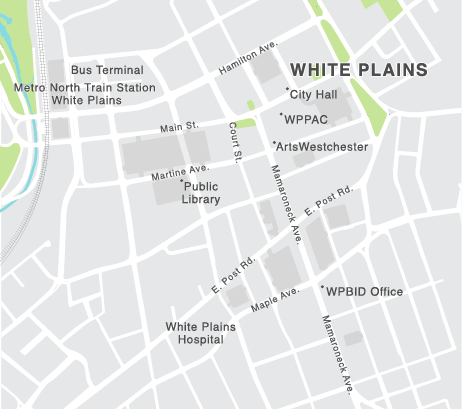 The White Plains Downtown BID encompasses 142 properties with approximately 5.9 million square feet of office and retail space. Our membership includes small business owners, national retailers, Fortune 500 Companies, and industry leading commercial property owners. The BID's Board of Directors represents the diversity of business interests in the Central Business District and is committed to creating an environment conducive to economic development and business growth.